Near the parrots and the gumball portrait of Arnold Palmer, Rick Fickhesen pitched the merits of seasoned salt to curious passers-by at the Westmoreland Arts and Heritage Festival. He traveled almost 250 miles from his home city of Buffalo, N.Y., on behalf of Kissed by the Sun Spices — and he wasn&apos;t alone. 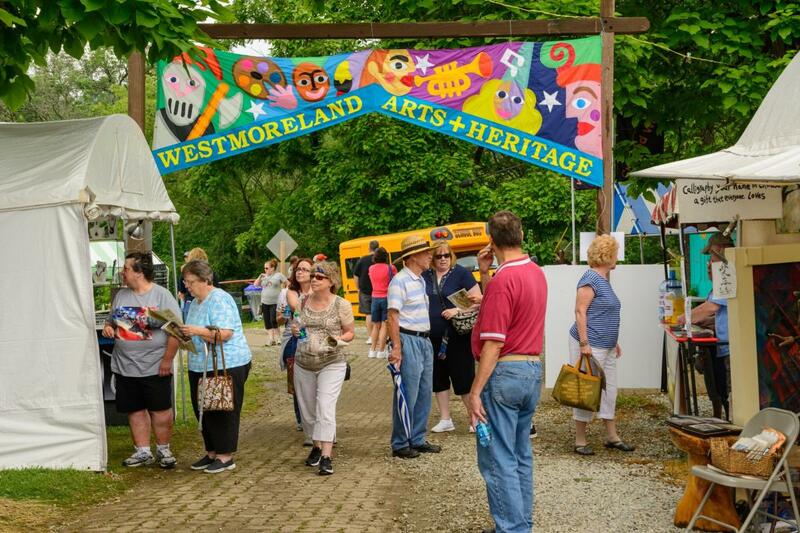 Westmoreland County has dozens of annual fairs, festivals and special events. While their economic impact has not been measured, organizers and participants agree they bring lots of cash to the area — and businesses local and otherwise hope to get a piece of it. “Millions of dollars change hands over Fort Ligonier Days weekend, I&apos;m sure,” said Jack McDowell, chairman of the popular October festival. The biggest events draw national attention. The Westmoreland Arts and Heritage Festival advertises nationally to find vendors, Executive Director Diane Shrader said. The efforts have paid off.